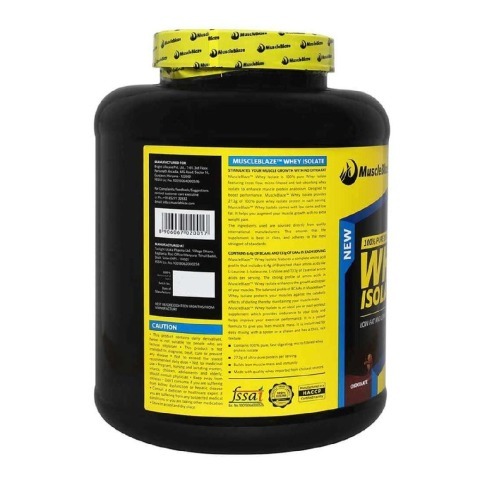 Muscle Blaze Whey Isolate 4.4 lb Chocolate is a premium quality whey protein containing whey protein isolate that helps promote easy absorption of protein by your muscles for a swift release of the protein energy. 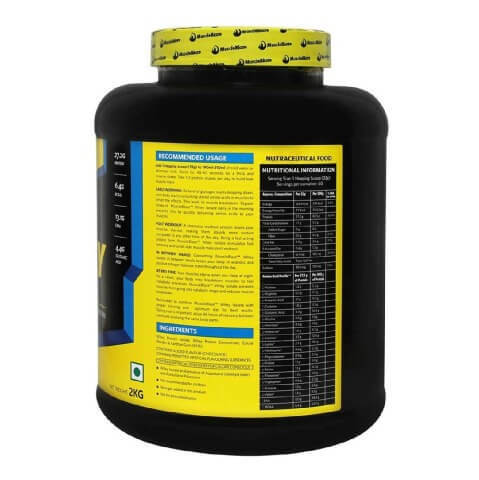 It is a superior quality whey protein developed using micro-filtered technology to ensure that your muscles get the optimum amount of protein they need for building muscle. This whey isolate not only contains protein but is also rich in BCAAa and EAAs. It helps build endurance and increases your stamina. Moreover, it supports faster recovery after an intense workout session. 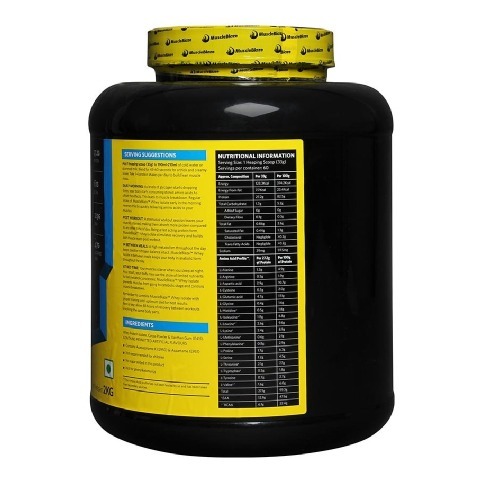 Thus, it is a perfect protein supplement with a wide array of benefits. 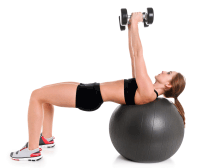 It helps you to enhance the development of your muscles and eliminate the unwanted fats from the body. It comes packed with micro-filtered whey protein, which is absorbed rapidly by the body and helps to enhance the anabolic muscle proteins. It helps in increasing your workout performance and endurance to help you train for long hours. Whey Protein Isolate, Cocoa Powder and Xanthan Gum. Add 1 heaping scoop (33g) to 190-210 ml of cold water or skimmed milk. Blend for 45-60 seconds for a thick and creamy shake. Consume 1-4 protein shakes per day to build lean muscle mass. Early Morning: As levels of glycogen starts dropping down, your body starts consuming stored amino acids to offset the effects. This leads to muscle breakdown. Regular intake of MuscleBlaze Whey Isolate early in the morning reverses this by quickly delivering amino acids to your muscles. Post workout: A strenuous workout session leaves your muscles starved, making them absorb more protein compared to any other time of the day. Being a fast acting protein form, it helps to stimulate recovery and builds lean muscle mass post workout. In Between Meals: A high metabolism throughout the day keeps positive nitrogen balance intact. MuscleBlaze Whey Isolate 4.4 lb Chocolate in between meals keeps your body in anabolic form throughout the day. At Bed Time: Your muscles starve when you sleep at night. As a result, your body may use the store of limited nutrients to fuel metabolic processes. It helps to prevent muscles from going to catabolic stage and controls muscle breakdown. To achieve lean muscle, you can blend 1 heaping scoop (33g) to 190ml-210ml of cold water or skimmed milk. Take 1-4 protein shakes per day for good results. As levels of glycogen start dropping down, your body starts consuming stored amino acids to offset the effects. This leads to muscle breakdown. Regular intake of MuscleBlaze Whey Isolate early in the morning reverses this by quickly delivering amino acids to your muscles. A strenuous workout session leaves your muscles starved, making them absorb more protein compared to any other time of day. Being a fast acting protein form, MuscleBlaze Whey Isolate stimulates recovery and builds lean muscle mass post workout. A high metabolism throughout the day keeps positive nitrogen balance intact. MuscleBlaze Whey Isolate in between meals keeps your body in anabolic form throughout the day. Your muscles starve when you sleep at night. As a result, your body may use the stored nutrients to fuel metabolic processes. MuscleBlaze Whey Isolate prevents muscles from going to catabolic stage and controls muscle breakdown. MuscleBlaze™ Whey Isolate combined with proper training MuscleBlaze Whey Isolate can give you amazing results. Rest is important; allow 48 hours of recovery between workouts involving the same body parts. MuscleBlaze products are made of permitted ingredients and are free of banned substances. It is perfectly safe to consume them in recommended dosage servings. Q: What is the difference between Whey Isolate and Whey Protein? 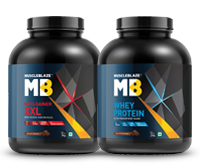 MuscleBlaze Whey Isolate and MuscleBlaze Whey Protein are different from each other on basis of their macronutrients per serving. MuscleBlaze Whey Isolate has 27.2 grams of protein per 33 gram of serving whereas MuscleBlaze Whey Protein has 25 grams of protein per 33 gram serving. 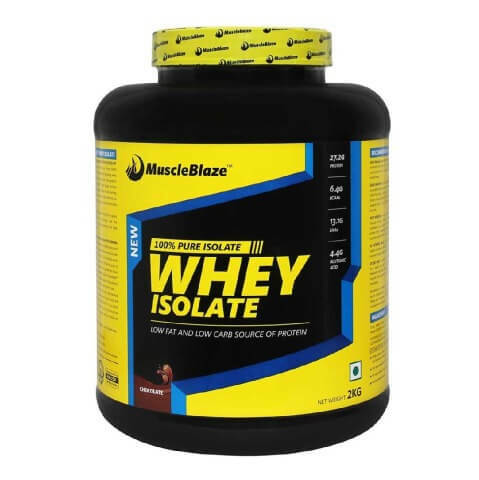 On basis of source of protein, Whey Protein Isolate is the only source of protein for, MuscleBlaze Whey Protein whereas MuscleBlaze Whey Isolate is a blend of whey protein isolate and whey protein concentrate. MuscleBlaze Whey Isolate is a 0 carbohydrate, low fat source of protein and is ideal for consumers looking for a high protein low fat ratio product, whereas MuscleBlaze Whey Protein is intended for serious athletes looking for high source of protein at an affordable price. Q: I am a vegetarian can I still take your products? MuscleBlaze products are 100% vegetarian and safe for consumption for all. Q: I am professional athlete and I am subjected to drug testing, can I take this product? All MuscleBlaze Products are free of doping ingredients and safe for consumption. 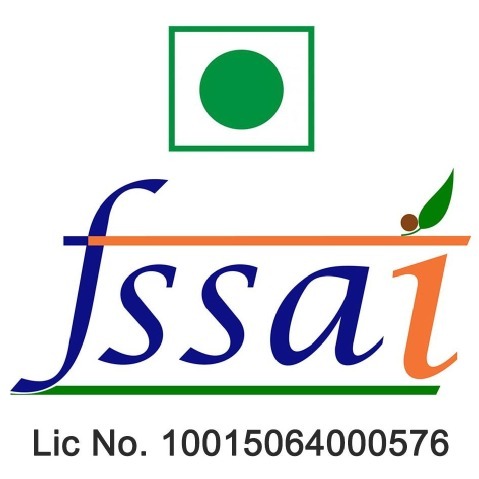 Our products are manufactured in FSSAI compliant units in stringent quality control conditions.